Artist Mark Blech of the town's Black Dog Gallery is spearheading contest for local artists. Sure, the Capital Region’s still getting shelled by weekly Nor’easters and chilly temps. But fear not: Springtime is right around the corner, and that means there’ll be loads of chirping birds hither and yon, flitting in and out of the tiny, free Airbnbs—i.e. birdhouses— we set out for them in our backyards. And while the plain, wooden one hanging in your maple tree might be all your neighborhood birds need to get through the spring and summer months, know that there will be some locals who’ll be bringing their birdhouse A-game to the table. “Growing up in New Rochelle, I learned how to build a birdhouse from my father, and I don’t think I ever stopped enjoying the fun of building birdhouses and then seeing them used by birds,” says Mark Blech, the artist behind Black Dog Gallery and Studio in Ballston Spa. Blech is spearheading the town’s first-ever birdhouse-building competition. 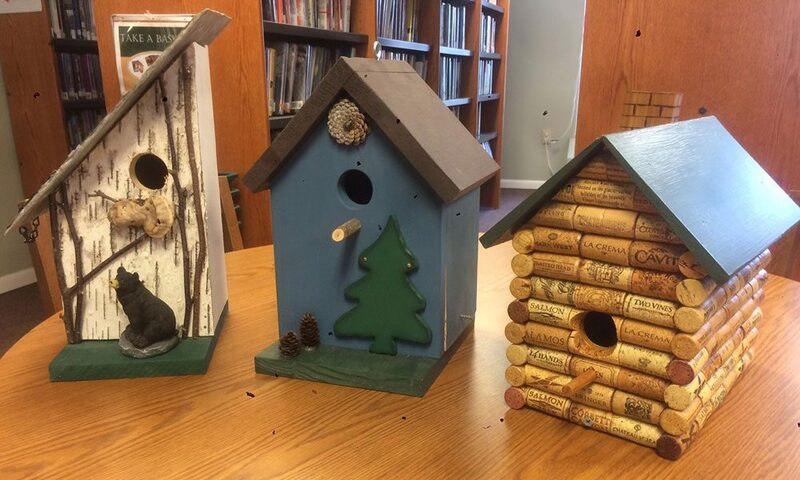 The contest is free and open to all local artists, woodworkers and craftspeople; and birdhouse builders have been instructed to bring their creations to the Ballston Spa Library on April 14. After that, the birdhouses—with the permission of the artists/woodworkers, of course—become the property of the Village of Ballston Spa, and are installed in and around town and on the Tedisco Trail. The decorated birdhouses will be mounted on trees and lampposts throughout Ballston Spa all summer long, including designated areas on Front Street, in Iron Springs and Wiswell Park and on Milton Avenue. At the town’s Birdhouse Festival on April 21, Mayor John Romano and trustees will determine the winners and award prizes provided by local stores and restaurants. Birdhouse Festival attendees will tour the village with score cards and vote on their favorites. In addition to the competition, children from the Girl Scouts, Cub Scouts, Creative Endeavors and around town will have the opportunity to decorate 150 birdhouses made by Ballston Spa High School’s Wood Technology class with wood donated by Curtis Lumber.